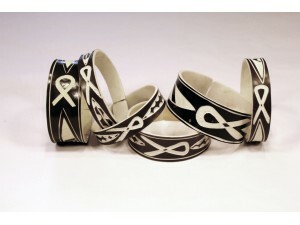 Hand-carved in the Ovahimba tribal tradition by villagers in Namibia, no two African Art bracelets a.. 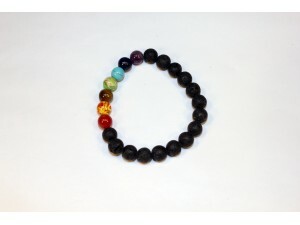 This is a small-beaded chakra bracelet, designed to heal and balance the mind and body. Our carnelia.. 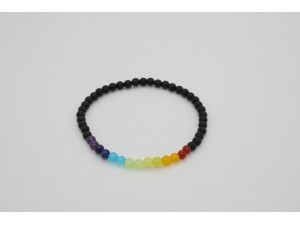 This small beaded Chakra rainbow bracelet connects all 7 elements of the spirit to provide balance t.. 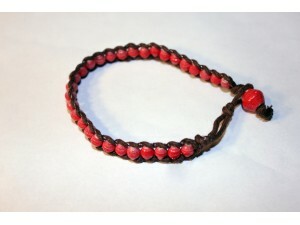 These multi charm bracelets hold deep rooted meaning, all presenting the red ribbon. Each charm brac.. 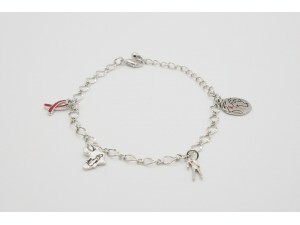 This stylish charm bracelet highlights the Red Ribbon and the fight against HIV/AIDS.. Simple gold or silver ribbon earrings that seem to float in the air and give you a breezy, modern lo.. This double ribbon pin is a symbol of awareness and support for those living with HIV/AIDS. 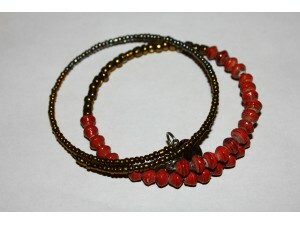 ..
Two-piece bracelet It features warm and cool metallic beads against solid or variegated paper beads.. 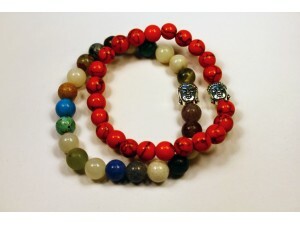 These gemstones are said to be healing, spiritually grounding, and are simply stunning. 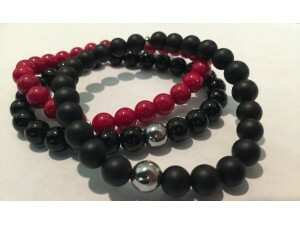 ONYX&nb..
Our healing beads bracelets are made with semi precious stones -- onyx (black - shiny or matte) and .. 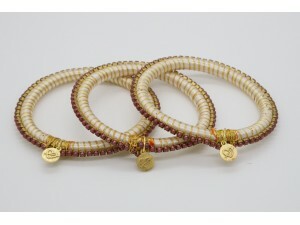 These handcrafted bangles display a heart with rose beads. Every bracelet has slight variations, mak..
How I Value Life pins, from our sister site hivlife.org, which was created by our interns. Here is t..